If your VeriCite assignment was created prior to June 6, 2016, you may receive the following error when attempting to sync with your Canvas gradebook. 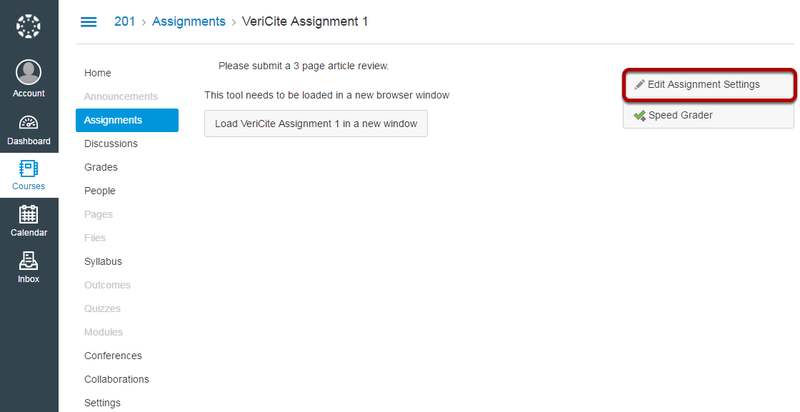 To resolve this error, your assignment will need to be reconnected with VeriCite. The steps below show how to reconnect an existing assignment. Go to your existing Assignment. Zoom: Go to your existing Assignment. 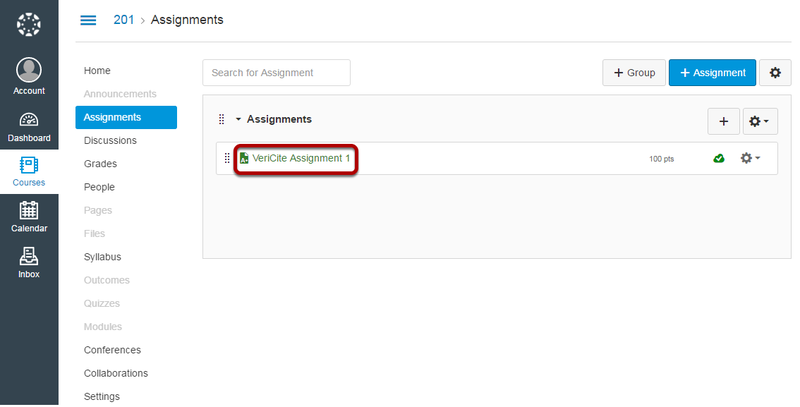 In the Assignments area of your course, click on the VeriCite assignment that needs updating. Zoom: Click Edit Assignment Settings. 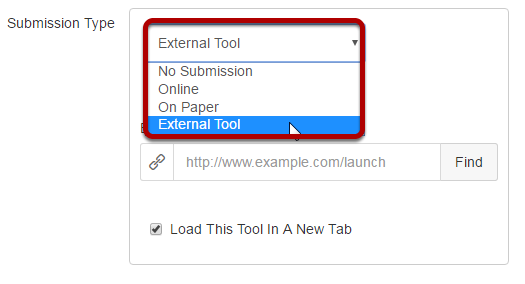 For Submission Type select External Tool. 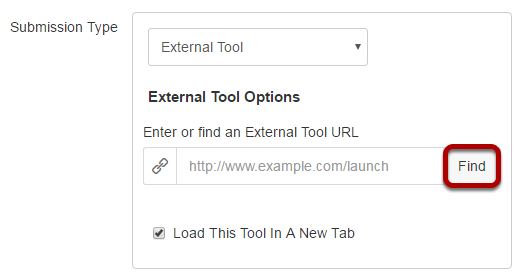 Under External Tool Options, click Find. 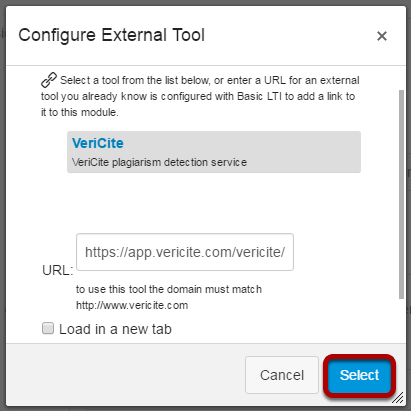 Choose VeriCite from the list of configured tools. 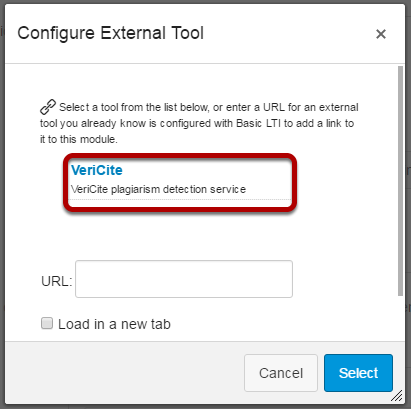 This will reconnect your assignment with VeriCite. Next: How do you seed your private repository with prior term student submissions?